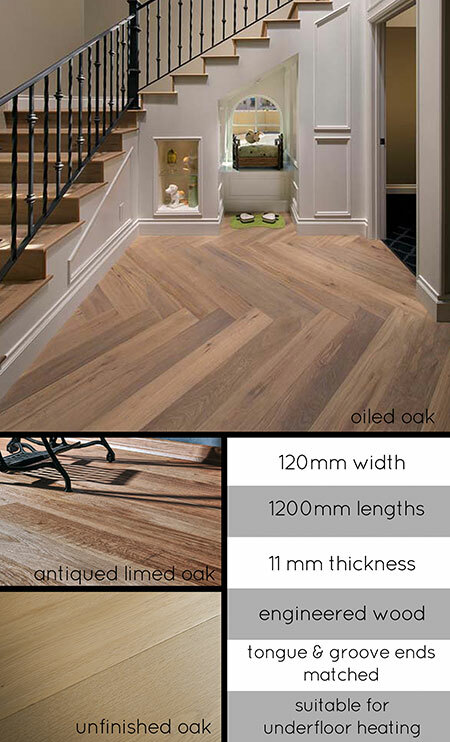 This super large herringbone parquet is an engineered wooden floor and is suitable for laying over underfloor heating. Each parquet batten has a 3.8mm oak top layer and is laid individually. This large format wooden floor is available unfinished for onsite bespoke finishing, with a satin oil finish and also a brushed antique finish. * Available in 3 oak finishes.